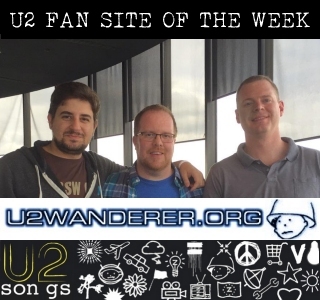 As the U2 circus gets ready to pack up and leave London town, we chatted to the good people behind long-running fan site U2Wanderer. Earlier this year they celebrated 20 years online, and we chatted to founder Aaron back then - check that out here. They have been busy since then, preparing a long-planned whole new look and name for U2Wanderer - U2SONGS, and it was great to catch up with them recently, where they told us all about it..
u2songs.com? What is that site that you ask? 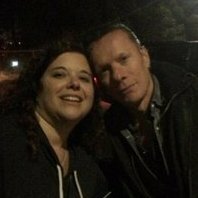 It’s the newest version of u2wanderer.org. Literally days old. We are just re-launching the site now with a brand new backbone, and we will continue to keep the old one running until we have the new one well established. We aren’t quite finished yet, but we’re at a point where we wanted to show people what we are working on. We’ve been working on this update for the last seven years. We hoped to have it ready when the new U2 album launch happened, but they took us by surprise with the release of Songs of Innocence - and then they got us all distracted with a tour.. Fans are always looking out for information on new U2 stuff and where it can be found. So it’s time to let go of that more recent information, in hopes that it will assist other fans, even while the site is still in construction. Why u2songs? Many will think that maybe it was inspired by the recent Songs of Innocence album title, but we’ve actually had the domain name since 2002 and always planned on this being our final home. The site deals with U2’s songs, where to find them, what they’ve released, and what they’ve been. So the site made sense to us. It just took us a little while to get to the final destination. U2 being stuck in a “songs” place as well? Just a happy coincidence! u2wanderer.org was founded in April 1995, and celebrated its 20th birthday earlier this year. Our site started out as a discography site and still focuses on discography and lyrics as well as collecting. We have expanded at times, and like making lists...including recent lists like documenting the confetti being “exploded” at shows, and listing the books Bono is throwing from stage on the #U2ieTour. This year we set up a separate news section for the old site to tide us over while moving and we also brought several new ideas to the site that we look forward to carrying to the new site, such as the map tracking where in the wild you could find copies of the RSD release. We also maintain an active presence on twitter and also maintain an active forum where a small group of collectors gather to talk and discuss collectibles and lyrics. The current core team at U2Wanderer.Org is made up of Aaron (AJ) Sams, Aaron Govern, Brad Hood, Carl Uebelhart, Don Morgan, George Dias, Harry Kantas and Mike Long. We aren’t located in one geographical area like some sites, but have staff from Canada, Ireland, the United Kingdom and United States. For a number of years it was just Aaron and Carl running things before Brad came on board in 2005, and the others over the years that followed. We would be remiss if we weren’t to give a shout out to our frequent collaborators Chris Jenkins and Shawn Rocco, as well as thanking all the others that have helped over the years. In the 20 years we have been working on the site the biggest ‘wow’ comes from realizing how many people have contributed and helped make this little corner of the web better. Carl and Harry handle most of the technical side of things. Carl and Mike are our lyrics staff listening for every nuance in every song and transcribing each from scratch. The rest of us approach things from the collectors side of things. AJ, Harry and Brad are always looking for and reporting on discography updates and also man the twitter account most frequently. George tracks the digital releases and digital streams. Aaron G, one of our newer staff members, is often found hunched away over a scanner producing some lovely images of some rare items. And Don has the unenviable task of going through all of the content in the discography and trying to edit and tidy it up. Over the years, our staff have been proud to be used for reference and to contribute items to exhibits at both the Rock and Roll Hall of Fame and The Little Museum of Dublin. We also contributed to the launch of “The Complete U2” on iTunes. The site has also been used as a reference for many books on U2, and the staff here have directly contributed to some of these publications. We also like a good giveaway. 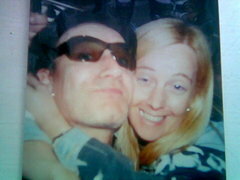 In the past we’ve given away the U2 branded iPod to a lucky fan. We’ve given away books, and albums, and collectibles. When we helped co-host the kick off party for the Elevation tour in 2001, we took armloads of posters and promotional CDs to the Hard Rock Cafe in Sunrise FL. It was one of the first big events we ever helped out with. Upcoming plans include some of our staff taking in the shows in London, Glasgow, Paris and Dublin. After that we have a few other plans for the site to improve and hopefully surprise. And definitely looking forward to a third leg and beyond. Looking for more opportunities to hang out together, to work together, and to bounce new ideas off of each other. With a staff that is spread out around the world we try to make the most of opportunities where we all end up in one place. Excellent work, u2wanderer staffers! I owe so much to you all for my own education and edification regarding the band's work. Thank you. Thank you for this look "backstage"
cheers to the whole team! Thanks for your great work over the years! Hey, thanks for including me in one of your pics in the article! It was an honor meeting you all in person. Really had a blast! See you down the road!